Chevron Nigeria has contracted the rig Adriatic IX for a six month drilling activity in shallow water western Niger Delta Basin. The jack-up, owned and managed by Shelf drilling, will be active on four wells in the Meren field between now and April 2014. 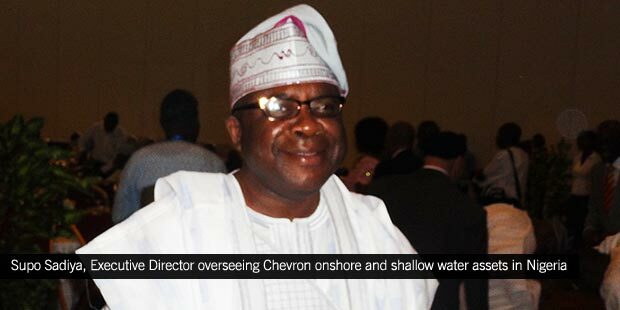 This marks a return of the Chevron/NNPC joint venture to shallow water drill-site in Nigeria. Chevron has been absent in action in Nigeria’s land and shallow water rig count since KS Endeavor, a jack up-rig working on its Funiwa-5 well, exploded on January 16 2012, resulting in the death of two of the 154 personnel onboard. The company has however, been drilling on the Agbami deepwater field. Incidentally, the ill- fated Funiwa drilling itself was to mark a return to the company’s shallow water drilling, after a hiatus beginning in mid -2010. In fact, Chevron has been largely absent from Nigerian drilling for upwards of three years and is the one company whose rig activity is sharply at variance with the spike in the country’s rig count between 2010 and 2013. The four Meren wells to be drilled by Adriatic IX are new take points to help maintain oil production as well as deliver gas for one of the three phases of the Escravos Gas Project. Chevron produces about 520,000BOPD in Nigeria, half of which comes from onshore and shallow water. Agbami produces about 250,000BOPD. Chevron’s three gas projects have a combined capacity of 680MMscf/d, with 300MMscf/d pumped into the Escravos Lagos Pipeline system, the nerve of the country’s domestic gas network. Meren is an old Chevron field, discovered over 30 years ago and still delivering in excess of 50,000BOEPD. Chevron is also working on returning to drill in its swamp assets (Gbokoda, Benin River, Abiteye..), from which it has refrained after attacks 10 years ago. The company has since refurbished the facilities and lined up plans to drill as many as 30 wells in the swamp area beginning in 2012. But the plan was put on hold. Militant attacks are quite frequent in the swamp, where criminal gangs have created zones that oil companies are barred from reaching. The government has struggled with security. Nigerian Armed Forces. To secure a slot, call 07036696742 for your secure appointment. Information to Candidates that scored below 180 in the UTME. Jamb cut off mark 2014/2015 and post utme, A must read. Jamb set to Release 2014 Result amid public speculation. How to check your 2014 Jamb Result. what is your jamb score and which institution do you apply for in jamb ? wish to score up to 250 and above latest April-17-2015. The Federal Government Has Announced that the Registration Process And Shortlist For The Nigerian civil defence Replacement programme 2015 is now available for those People who really have a passion to serve his/her father land and to become a personnel to apply for any of this placement. Interested people are to send his/her C.V to adelekeadebayo05@gmail.com or interested should application should call Mr. Adeleke on 08036289038. The nigeria defence academy(NDA) 67TH regular course exam has been held nation wide in nigeria.the merit admission list has been released and published. the batch B NDA list AND Supplementary admission list is being compiled and processed now. 1.The candidates whose names would appear in this soon to be released shortlisted names are those candidates that wrote this recent 2015/2016 Nigerian defence academy (NDA) 67th regular course entrance examination that was conducted on Saturday, The 25th Of April 2015. GEN USMAN : – The Deputy Head Administrator – Nigerian defence academy, Kaduna Headquarters, Kaduna State, Nigeria. All Candidates were advised to remain calm as the names of the successful candidates are under compilation and as thus; the shortlisted names would be published within few days. The shortlisted candidates will be informed properly as they will appear for interview before an Armed Forces Selection Board “AFSB” with details of date, time and location which will include two (2) different batches respectively. All Nigerian defence academy applicants for 67th regular courses were warned and advised to resists from any form of information they see on any website apart from NDA website or recommended information channels, you were also advised to report any problem to our school authority in this headquarters or through our official website which is (www.nda.edu.ng) OR pin a notification at the school notice board here where all information regarding exams and admissions for 67th Regular course of 2015/2016 academic season are been posted from the NDA information center. All the Candidates of Nigerian defence academy for 67th regular courses of 2015/2016 academic season were thereby informed that; the interview will be conducted immediately after the publication of the shortlisted names therefore, you were advised to keep yourself active and well prepared as the interview will commence immediately the successful shortlisted names were published. Office Address: No 233LL2 Block B At Administrative Building, Nigerian defence academy, Kaduna headquarters, Kaduna State, Nigeria. 3. You are advised in your own interest not to give any form of gratification or inducement to any person or group of persons to assist you on the recruitment exercise. Nigeria Immigration Service 2015 shortlisting of recruited names currently ongoing .the supplementary list is ready and will be released soonest. appear for interview before the Armed Forces Selection Board (AFSB) – 67 Regular Course. For any issues or further enquiries aspirants can kindly contact Dr. Muktar Muhammad Senior Lecturer at Nigerian Defence Academy on:08034108983. Academy Entrance Examination held on Saturday 25 April 2015. a.) Batch 1. (Candidates from the underlisted states are to report to NDA on Saturday 20 June 2015). b.) Batch 2. (Candidates from the underlisted states are to report to NDA on Sunday 5 July 2015). 2. Candidates who fail to report by Saturday 20 June 2015 and Sunday 5 July 2015 for Batches 1 and 2 respectively will not be allowed to attend the interview. Any Batch 2 candidate who is seen around the NDA premises before 5 July 2015 will be disqualified. Candidates will be accommodated and fed throughout the duration of their stay for the AFSB. screening, medical tests and physical fitness tests. Only candidates who pass the screening exercise will qualify to continue with the interview. 2. Acknowledgement Form and NDA Examination Admission Card. 4. Birth Certificate or Declaration of Age, preferably Birth Certificate. must also affix formation/unit stamp and sign. Consent Forms from the NDA applications portal and complete same. Candidates who fail to bring along the documents listed above will be disqualified. Any alterations on the documents will attract outright disqualification. 2. Three blue shorts and 3 white (round-neck) T- shirts. 5. Scratch cards for W AEC and/ or NECO results for online confirmation of result. 6. Four recent coloured passport photographs. presented and endorsed at the Exam Centre during the Entrance Examination. To view the Shortlisted Candidates for the Armed Forces Selection Board for 66 Regular Course kindly visit our website here at http://nda.edu.ng/NDA%20List%20for%20AFSB%2067RC.pdf. Attention to all the interested applicant that we like to participate for the Nigeria Academy Defende. In regard to the ongoing examination of the NDA. Be advice to contact major ADEBAYO from the Nigeria Academy Defende (NDA). 09039794012, with your request and candidate are also free to contact t for help, regard admission and submission of form……. As them always said time wait for nobody.